Jason worked for the London Stock Exchange before setting up the business in June 1994. Having been a top Kent junior county player Jason then qualified as a coach. The business has grown tremendously over the years and now boasts over 500 players currently receiving coaching from the team each week. Jason is a fully licensed CCA Coach – Level 4. Motivation to coach: To help all standards of players enjoy tennis. If you could choose to have dinner with 3 people, who would you invite? Nancy has worked for Jason’s Totally Tennis for 6 years. 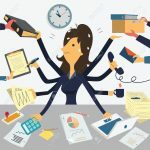 She arranges coaching, competitions and runs the junior leagues for the club. Nancy is the person to speak to if you have any queries about your tennis coaching. Sam Tyler – Head of Mini Tennis and Development, Bromley Lawn Tennis. Having worked as a coach in the South West, Sam moved to Bromley and joined Jason’s Totally Tennis team in 2005. Now with 17 years coaching experience Sam works with players of all abilities including tots, adults and performance players. Sam is LTA Professional level 4 accredited + Senior Club Coach. For 3 years, Sam also worked as a PE Coordinator at St Marks Primary School where he became a qualified gymnastics teacher. He also is a qualified fitness instructor and holds a National Diploma in Sports & Recreation. Gavin has always had a passion for tennis. As a junior, he reached the semi-finals of both the under 14 and 16 National Championships; and also travelled representing Great Britain on numerous occasions. As an adult, Gavin still regularly represents Essex, having done so for 18 years, and has played for a variety of clubs in National Divisions of the team tennis competition. As a coach, Gavin enjoys coaching players of all ages and abilities and has a passion to improve the game of every single player he coaches, no matter what ability. He has had over 30 years of experience coaching players from the age of 3 upwards, as well as players of all abilities. Most notably, Gavin has over 25 years of experience coaching performance players and has and continues to coach many players who have reached county, regional, national and international standard. He has coached several players who have world rankings (Francesca Stephenson, Aimee Gibson, Ben Pritchard and Dan Evans to name a few); and is currently coaching a top 400 WTA player (Eden Silva). Gavin also has coached players to win ITFs, British Tours and Junior Nationals; and has coached the current top national under 10 junior since the age of 3. A career highlight for Gavin was when he worked alongside current ATP coaches Wayne Black and Neville Goodwin, who now coach Kevin Anderson (current top 10 in world ATP). Motivation to coach: To improve the games of all players, no matter what age or ability, and for everyone to enjoy their lessons and feel they have learnt something valuable! Hobbies: Watching football, pool, snooker, meals out, bowling and spending time with loved ones. Favourite food: Indian or anything spicy! Favourite movie: Godfather, Legend…any thrillers or action! Adam Galloway – Head Coach South Hill Woods TC & Club Coach Bromley Lawn Tennis. Adam is a Level 4 senior club coach from Edinburgh with 8 years coaching experience. Previously worked for Edinburgh Leisure at Tennis Scotland HQ. Worked with players of all ages and abilities from beginner to performance and from tots to vets. I’ve worked at a performance tennis academy in Barcelona. And previously worked alongside coaches such as Louis Cayer and Judy Murray. Freddie Arian – Performance/Development Tennis Coach, Bromley Lawn Tennis Club & South Hill Woods T.C. Freddie has been coaching for 5 years, has experience teaching tots, mini tennis, adults and performance players, currently lta qualified level 3 coach aiming to do level 4 next year. Freddie also worked as a PE Teacher at Private schools in the Chislehurst area. Freddie had the honour in pairing with Jamie Delgado to play an Aegon National match at Bromley lawn tennis club, he is also planning to enter British Tour Tournaments. 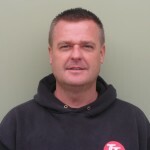 Christophe Tipy – Performance/Development Tennis Coach, Bromley Lawn Tennis & South Hill Woods TC. Christophe has a vast experience coaching all standard of players. He has coached in Paris for 20 years before joining Jason’s Totally Tennis in 2018. During 8 years he has been head coach of the Tennis Club of 13ème in Paris (600 members) managing a team of 10 coaches and a very successful coaching program. Christophe was a very good junior tennis player and has played in the French national league. Motivation to coach: Adjusting my approach regarding student age, abilities and motivations to get them enjoy the game of tennis. Katy Forsdyke – Tennis Coach Bromley Lawn Tennis & South Hill Woods TC. Katy has recently started working at Bromley Lawn Tennis Club. At previous venues, Junior Sections and beginner adults have all benefitted from her infectious high level energy and enthusiasm for the game. Motivation to coach: Inspiring players of all ages to enjoy the benefits of tennis. Hobbies: Dancing, shopping and skiing. My Dad, Michael McIntyre and Bruno Mars. Rachel Payne – Level 2 Tennis Coach, Bromley Lawn Tennis. Rachel has been a member of BLTSC for many years and has recently joined the coaching team as qualified Level 2 coach. Rachel is an active player and competes for Kent in County Veterans events. Rachel works mainly with beginner adult groups but also with Sam Tyler with his Tots & Mini red groups. She is available as a buddy hitter for all ages. Motivation to coach: To encourage more people to learn to play tennis and develop a vibrant Beginner section a BLTSC. Andy Pretty – Junior football coach Level 1. Andy is a level 1 coach at Bromley FC who has coached children from U7 to U9. Worked with players of all abilities including some that are now with professional academies. Motivation to coach: To see players having fun, loving the game and helping them to improve ability and confidence. Level 1 Tennis Coach, Lia Emsden, has been a member of Bromley Lawn Tennis Club for over 10 years. After volunteering at the age of 13, Lia has been working as a coaching assistant for the last 3 years. Lia coaches tots tennis as well as junior performance players with Sam Tyler. Lia was a high level junior performance player and now plays for BLTC in the mixed and ladies doubles teams in the Kent and North Kent leagues. She is available as a buddy hitter for all ages. Motivation to coach: To encourage more young girls to take up such a great sport. Hobbies: Costume and fashion design. Favourite movie: The Wizard of Oz. 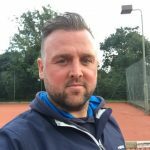 Oliver is a level 1 tennis coach from Bromley who has 3 years experience as a coaching assistant working alongside all coaches at Jason’s Totally Tennis. He has been a member of Bromley lawn tennis club since the age of ten. He has played to a high standard through junior tennis winning the U18 Kent mixed doubles, and now plays for the Bromley men’s and mixed teams in the Kent league. He now wants to begin his coaching journey as a buddy hitter for all ages. Motivation to coach: Inspiring people of all ages to get involved in sport. Favourite movie: Oceans 11 & The da Vinci Code.